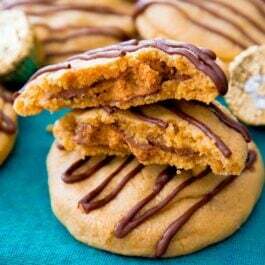 Calling all peanut butter lovers! 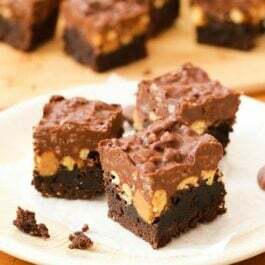 These delicious blondies are LOADED with peanut butter butter flavor and studded with sweet Reese’s Pieces – one of my absolute favorite candies. 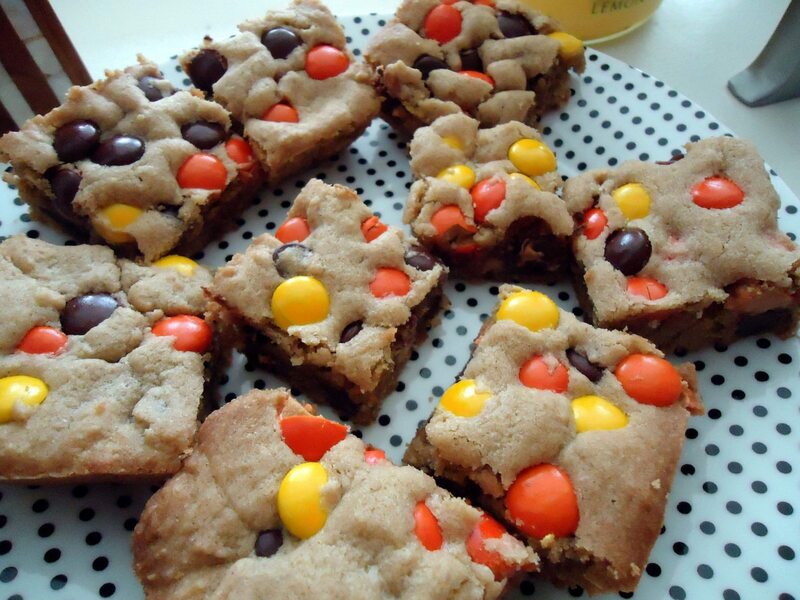 The Reese’s Pieces add a nice crunch to these soft and chewy blondies. I love a good texture contrast in my baked goods – especially one from Reese’s Pieces. I hope you enjoy these. They’ve become a staple in my kitchen! Preheat oven to 350°F (177°C). Grease 11x7 inch pan and set aside. Add eggs, one at a time, to the peanut butter mixture, mixing well after each egg. Stir in pure vanilla extract. Add this mixture to the prepared dry ingredients, and stir until batter is smooth. 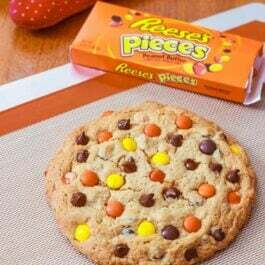 Fold in 1/2 cup of Reese's Pieces, leaving 1/4 cup to sprinkle on top. Pour batter into the greased pan, spreading batter evenly. Sprinkle with remaining 1/4 cup Reese's Pieces. Bake for 25-30 minutes or until top is golden brown and edges are lightly browned. Allow 20 minutes to cool and cut into squares. Make ahead tip: Blondies freeze well up to 3 months. Thaw overnight in the refrigerator then bring to room temperature before serving. Cover and store leftover blondies at room temperature or in the refrigerator for up to 1 week.